Steve Walton, ‘Thinking it through: Researching and Writing a Conference Paper’, ReflectED 7 (2016), 3-5. 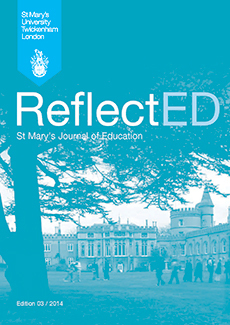 The article is based on a talk I gave at our St Mary’s University School of Education, Theology and Leadership research conference last June. In the article I think aloud through the process by which I researched and wrote a presentation for our conference on cities and early Christianity (organised by our Centre for the Social-Scientific Study of the Bible) in May last year. This was a really interesting exercise to do; I’d welcome comments and thoughts from others on the processes they use for writing such things. Incidentally, the paper itself is on ‘Heavenly Citizenship and Earthly Authorities: Philippians 1:27; 3:20 in Dialogue with Acts 16:11-40’. In it, I consider how Paul uses language which Graeco-Roman readers would recognise as ‘city’ language, but with reference to the believing communities. That paper will be published in the volume from the cities conference, which will be out with Eerdmans in due course (more when it is available).